We will guide you through the customising of your WordPress website for viewing on the iPhone and other mobile smartphone devices using the WPTouch Plugin. Your WordPress theme may look pretty good already, however the number of smartphone users is increasing every second. If you haven’t customised your WordPress layout for the mobile crowd, you might be losing out on a huge user base who could be browsing your website on the go. 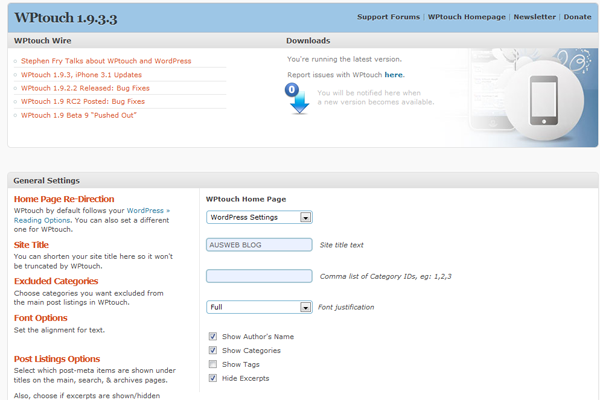 Installation of WP Touch couldn’t be simpler. If you haven’t previously installed a WordPress plugin using the automatic install feature or need reference for installing the plugin manually – please take a look at the WordPress FAQ for installing plugins. Choose install now, type in your information and you will see “Successfully installed the plugin”. Step 3) Now all you need to do is click on “Activate Plugin” and you are done! Here you can adjust display settings and options such as listing options, categories options, font options, skin options etc! 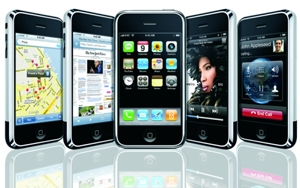 to customise your website’s mobile layout with numerous layout options. 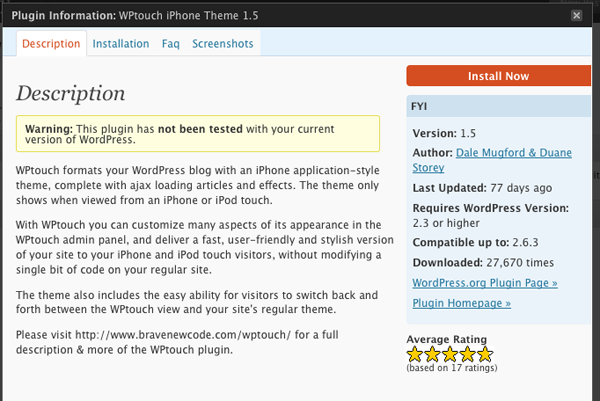 As you can see on the right, WPtouch makes it much easier for mobile users to browse your WordPress website!